Sanjiv believes that an important factor of success is being prepared at all times. 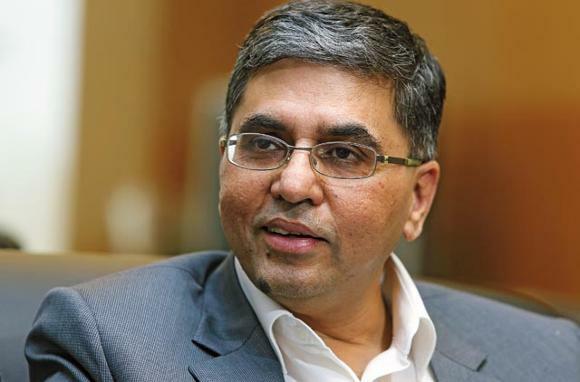 Sanjiv Mehta, chairman of Unilever North Africa and Middle East region, is a big believer in “compassionate capitalism and sustainable growth’’, rather than rampant consumerism. Although he is now “a firm capitalist’’, he admits that he was influenced by Karl Marx when he was in college. “I am convinced if you don’t believe in socialism in your 20s, you don’t have a heart. And if you don’t believe in capitalism in your 30s, you don’t have a mind! I think capitalism is still the best way of allocating scarce resources. But it has to be tempered with compassion,’’ he says. Sanjiv, 53, does not hesitate in asking questions to learn. “I don’t think twice before learning from younger people. One need not necessarily be an experienced hand to have something of value to share,’’ says Sanjiv. He is passionate about helping make the world a better place. “In the end, if you aren’t able to leave the company you work for, or the world you live in, a better place, what’s the point?” Here he discusses his values with Friday and shares how his way of running a corporation can help in leading a good life. I have a very participative style of leadership and don’t make decisions for my team – I merely help them in making decisions. Of course, success is important in the world of business, but building institutions and developing leaders is equally important. I handle the overall marketing of products in 20 countries, so I have to travel a fair bit. I have a very hands-on approach, so there is little that I am not aware of. For me, power is empowering people. I start with the premise that I trust my people, unless proven otherwise. I believe in developing them and in taking risks with them. I’ve honed my style over many years. I’ve been a company chairman for 11 years now in three different regions – South Asia, South East Asia and the Middle East and North Africa. Working across these vastly different regions, I learnt that the fundamental human values are consistent across geographies. It is the nuances, the style and the cultures that differ. In South Asia, we have a very aggressive culture. In the Philippines, where I headed the company, people are very circumspect in public. There, saving face is vital. You can’t criticise someone in public. In the Arab world, when you talk business, you don’t go straight to the point. You first sit with them, develop relationships, get to know them, discuss the world at large, and then do business. But the fundamental human beliefs and virtues remain consistent across the world. Leadership is situational. There are times when you have to make a tough call and, during such moments, I never hesitate. As a business leader, I am not high in the popularity stakes. If a tough call against a person is in the interest of the organisation, so be it. I also believe that a sense of humour is essential, because there’s the risk that you might end up taking yourself too seriously. Success, I’ve realised, is how quickly you bounce back. I’ve been fortunate; I’ve had more successes than failures. Another important factor for success is being prepared at all times. A lot of my principles – hard work, resilience, integrity – I learnt from my father, S P Mehta, who worked in the accounts section of the Reserve Bank of India. We were a typical middle-class family; my father regaled us with stories from the banking circles at the dinner table. I was fascinated, and decided to become a chartered accountant. I achieved my aim before I turned 23. In 1983, I joined Union Carbide, which was very big conglomerate at that time. I was a part of the crisis-management team after the Bhopal gas tragedy in 1984, when a gas leak from the pesticide factory in Bhopal, India, affected more than 500,000 people and left hundreds dead. Experiencing such a tragedy early in my career was a huge learning curve. I learnt that safety is of paramount importance. I now start every meeting by reviewing the safety agenda. I always evaluate risk, and I always have a back-up plan. My performance in this crisis lead to a promotion to head of finance of the company’s plastics division. A defining movement in my career was when I changed track to sales and marketing a few years later. When Union Carbide closed in India, I joined Unilever in Dubai as their group commercial manager. Then I was sent to Bangladesh as a member of the board. It was a time when the company was in serious trouble in the local markets, with sales in the red, and my mandate was to help save the company. We took a few calculated risks, changed our operating style, listened to the market, the people and the dealers, and were able to turn around the business in two and a half years, after which I was made chairman of the company. Today, our Bangladesh operation is one of the strongest globally. I have happy memories of my childhood in Mumbai. Our house was full of books, so reading is my passion. I’m a huge cricket fan and even dreamt of becoming a professional cricketer, but I soon realised I didn’t have the talent, so now I just watch. My wife Mona is very supportive. She was a corporate banker with HSBC, but she willingly gave it up to move to Bangladesh with me. I have two wonderful daughters, Naina and Roshni, 18-year-old twins studying at MIT and Cornell Universities in the US. Parenting is one of the most amazing experiences you can go through, but bringing up twins in the first few years can be quite a task. I dream with my eyes open. I believe in the power of dreams. If you envision a thing and have the passion and determination, you can move mountains. If dreams are backed by purpose, determination, perseverance and a good set of values, you can realise them. I dream of making a difference in everything I do. If I run a business, I should leave it in a much better position than it was in when I inherited it. I want to see my children grow up into citizens of the world. I have this vision of going back to India and contributing to society, giving back to the country, maybe by working with the government and raising the standards of governance.